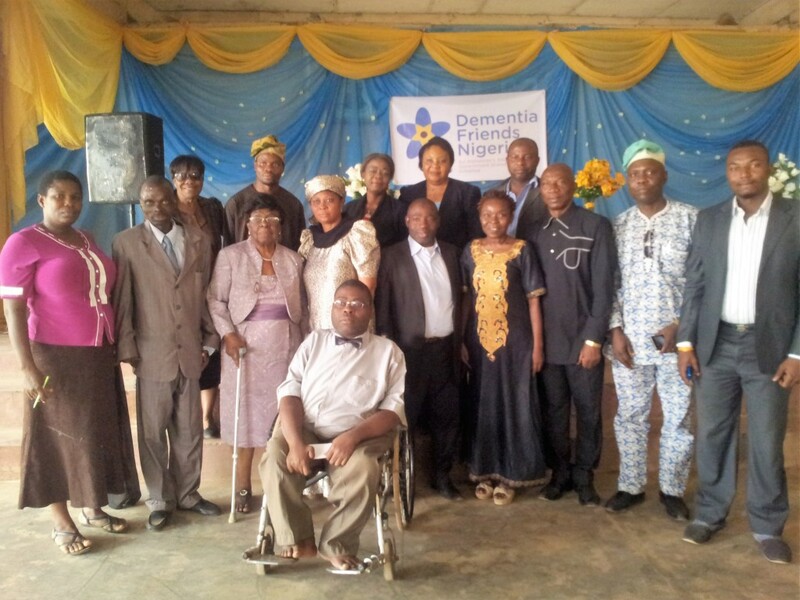 Dementia Friends Nigeria recently launched with the help and support of Alzheimer’s Society in the UK. Here Kiki, founder of Dementia Friends Nigeria and Rossetti Care Ltd, tells us more about the impact the programme is having in Nigeria and how Alzheimer’s Society is helping countries around the world to launch Dementia Friends. She knelt down, sobbing uncontrollably and muttering, “Please, God forgive me! Baba, please forgive me, please help me, I did not know, I did not understand…..”! Her father’s decline was rapid and the villagers became aware of it before she did because she worked in the city and only visited once or twice a year. The symptoms according to her were: he talked to ghosts; he would disappear into the forest for days, and when found, he would be naked, dirty and bloodied; he never slept; he spoke in tongues, and was verbally and physically abusive towards everybody including family members. There were whispers of witchcraft and madness in the village. The woman is now a very active and vocal Dementia Friends Champion. Alzheimer’s Society has been working closely with countries like Nigeria to help launch Dementia Friends around the globe, from assisting with the resources that need to be developed, through to marketing advice, operations guidance and other important aspects of the programme. Alzheimer’s Society is committed to creating a global Dementia Friends movement, and helping to spread understanding and social action worldwide. Prior to the launch of Dementia Friends Nigeria, many people from across communities in Nigeria were taken through the Dementia Friends Champions resources; from chiefs of entire villages and religious leaders to those who work in schools and hospitals. Each person was tasked with creating 100 Dementia Friends. As of 16th February, Nigeria has 67,755 Dementia Friends! Nigeria has a population of over 186 million – about 2.5% of the world’s population. There is a long way to go, but this is a very encouraging start. This entry was posted in Dementia Friends News, Guest Blogs, Home, Inspiring Stories on February 26, 2016 by Dementia Friends. 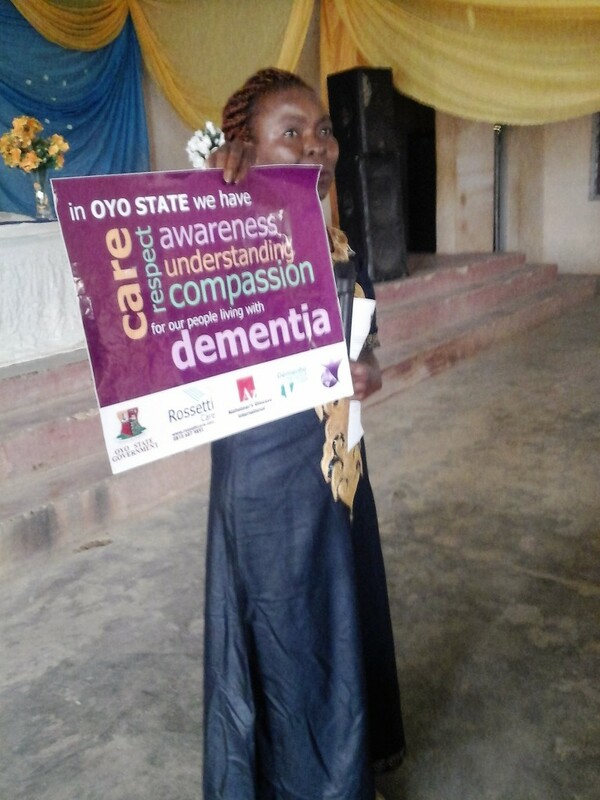 It is really exciting for me to hear about the education on dementia that is going on in Nigeria. I started volunteering at a senior home for adults with dementia about 2 years ago. I had never heard of dementia before and didn’t know what to expect. Through that experience and because of my interest in public health, I landed the role of coordinating the St. Paul Neighborhoods ACT on Alzheimer’s team in Minnesota, USA, for my service year as a St. Joseph Worker. It’s been about 6 months since I took on that role and I have learned a lot about dementia, and resources/supports available to those with dementia in that community. Even here in the USA, where there is talk about dementia and a growing network of communities working towards becoming dementia-friendly, the stigma is still high, and resources/supports are still insufficient. My Google search for dementia in Africa produced little information so, I can only imagine the stigma and lack of support in those countries . My time in the USA is coming to an end. As I plan to return to my native country (Tanzania) this summer, I am thinking of how I can carry forth the knowledge I have acquired. I am excited to learn more about the work in Nigeria and want to know what I could/should do to have Dementia Friends launched in Tanzania. Hi Agnes – Thank you for your post, and for the fantastic work that you’re doing in raising awareness of dementia. Sadly, as you have encountered, there is still stigma surrounding dementia worldwide, however together we can help to spread understanding and reduce this stigma and discrimination. If you’re interested in helping to spread the Dementia Friends message to Tanzania please email our Senior International Officer, Philippa Tree at dementiafriends@alzheimers.org.uk. It’s me again A team I am working with recently received a grant to work with the West African Community in the Brooklyn Park and Brooklyn Center areas of MN to assess current strengths and gaps in meeting needs related to those impacted by Dementia and identify steps that the community can take to create a dementia-friendly culture that raises awareness of dementia and respects people with dementia; has community-wide services and resources that ensure access and foster quality of life; supports people with dementia and their care partners throughout their journey; and promotes meaningful engagement in community life. I would appreciate being an introduction to Kiki because I would like to learn more about the work that she has been doing. In particular, I would like to know what experiences/lessons she can share with me about culturally appropriate screening/diagnostic tools. Looking forward to your response. Many thanks for your message – what you are working on sounds very exciting! I got to know about this illness in 2004, when I started my career in Nursing in Germany. I was so fascinated with the state of mind of patients with dementia, that I decided during my schooling , to work only with people diagnosed with Dementia. I realized during my studies as a Nurse that we do really have people with dementia back home. The problem was , it was not given a name( diagnosed) and as such people believe that Africans don’t develop this sickness and consequently blame the symptoms & behavioral change that comes with it to witchcraft .I can only say kudos for trying to spread the awareness. Maybe the number of people labeled as witch will reduce through your effort. All the best. Eno. Nigerian Community Association Aylesbury(NCAA), is a Dementia friendly organization and have Dementia friends. We are more than happy to work with you if and when required. Do not hesitate to get in touch. I am very please to know that people in Africa and elsewhere are being educated about this dreadful disease. I am eager to study and help support friends when and where possible. Please let me know of any courses in London area.